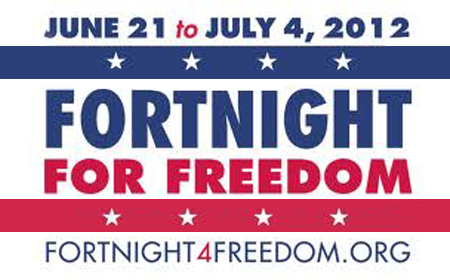 The Fortnight for Freedom is a national campaign designated by the U.S. Catholic bishops for teaching and witness in support of religious liberty. It is part of an effort to teach people the importance of religious freedom in light of the HHS mandate outlined in Obamacare. The bishops have prepared reflections and readings from the Vatican II document Declaration on Religious Liberty (Dignitatis Humanae). The readings are intended for daily use during the Fortnight for Freedom and will help promote dialog and reflection on the importance of defending religious liberty. The fact is that men of the present day want to be able freely to profess their religion in private and in public. Religious freedom has already been declared to be a civil right in most constitutions, and it is solemnly recognized in international documents. The further fact is that forms of government still exist under which, even though freedom of religious wor- ship receives constitutional recognition, the powers of government are engaged in the effort to deter citizens from the profession of religion and to make life difficult and dangerous for religious Communities. This sacred Synod greets with joy the first of these two facts, as among the signs of the times. With sorrow, however, it denounces the other fact, as only to be deplored. The Synod exhorts Catholics, and it directs a plea to all men, most carefully to consider how greatly necessary religious freedom is, especially in the present condition of the human family. All nations are coming into even closer unity. Men of different cultures and religions are being brought together in closer relationships. 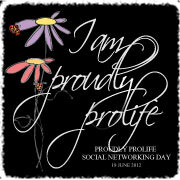 There is a grow- ing consciousness of the personal responsibility that weighs upon every man. All this is evident. Consequently, in order that relationships of peace and harmony may be established and maintained within the whole of mankind, it is necessary that religious freedom be everywhere provided with an effective constitutional guarantee, and that respect be shown for the high duty and right of man freely to lead his religious life in society. In turn, where the principle of religious freedom is not only proclaimed in words or simply incorporated in law but also given sincere and practical application, there the Church succeeds in achieving a stable situation of right as well as of fact and the inde- pendence which is necessary for the fulfillment of her divine mission. This independence is precisely what the authorities of the Church claim in society. Among the things which concern the good of the Church and indeed the welfare of society here on earth—things therefore which are always and everywhere to be kept secure and defended against all injury—this certainly is preeminent, namely, that the Church should enjoy that full measure of freedom which her care for salvation of men requires. This freedom is sacred, because the only-begotten Son endowed with it the Church which He purchased with His blood. It is so much the property of the Church that to act against it is to act against the will of God. The freedom of the Church is the fundamental principle in what concerns the relations between the Church and governments and the whole civil order. Furthermore, society has the right to defend itself against possible abuses committed on pretext of freedom of religion. It is the special duty of government to provide this protection. However, government is not to act in arbitrary fashion or in an unfair spirit of partisanship. Its action is to be controlled by juridical norms which are in conformity with the objective moral order. These norms arise out of the need for effective safeguard of the rights of all citizens and for peaceful settlement of conflicts of rights. They flow from the need for an adequate care of genuine public peace, which comes about when men live together in good order and in true justice. They come, finally, out of the need for a proper guardianship of public morality. These matters constitute the basic component of the common welfare: they are what is meant by public order. For the rest, the usages of society are to be the usages of freedom in their full range. These require that the freedom of man be respected as far as possible, and curtailed only when and in so far as necessary. Finally, government is to see to it that the equality of citizens before the law, which is itself an element of the common welfare, is never violated for religious reasons whether openly or covertly. Nor is there to be discrimination among citizens. It follows that a wrong is done when government imposes upon its people, by force or fear or other means, the profession or repudiation of any religion, or when it hinders men from joining or leaving a religious body. All the more is it a violation of the will of God and of the sacred rights of the person and the family of nations, when force is brought to bear in any way in order to destroy or repress religion, either in the whole of mankind or in a particular country or in a specific community. The protection and promotion of the inviolable rights of man ranks among the essential duties of government. Therefore, government is to assume the safeguard of the religious freedom of all its citizens, in an effective manner, by just laws and by other appropriate means. Government is also to help create conditions favorable to the fostering of religious life, in order that the people may be truly enabled to exercise their religious rights and to fulfill their religious duties, and also in order that society itself may profit by the moral qualities of justice and peace which have their origin in men’s faithfulness to God and to His holy will. Since the family is a society in its own original right, it has the right freely to live its own domestic religious life under the guidance of parents. Parents,moreover, have the right to determine, in accordance with their own religious beliefs, the kind of religious education that their children are to receive. Religious bodies also have the right not to be hindered in their public teaching and witness to their faith, whether by the spoken or by the written word. However, in spreading religious faith and in introducing religious practices, everyone ought at all times to refrain from any manner of action which might seem to carry a hint of coercion or of a kind of persuasion that would be dishonorable or unworthy, especially when dealing with poor or uneducated people. Such a manner of action would have to be considered an abuse of one’s own right and a violation of the rights of others. The religious acts whereby men, in private and in public and out of a sense of personal conviction, direct their lives to God transcend by their very nature the order of terrestrial and temporal affairs. Government, therefore,ought indeed to take account of the religious life of the people and show it favor, since the function of government is to make provision for the common welfare. However, it would clearly transgress the limits set to its power were it to presume to direct or inhibit acts that are religious. In all his activity a man is bound to follow his conscience faithfully, in order that he may come to God, for whom he was created. It follows that he is not to be forced to act in a manner contrary to his conscience. Nor, on the other hand, is he to be restrained from acting in accordance with his conscience, especially in matters religious. Truth must be “sought after in a manner proper to the dignity of the human person and his social nature.” This means that human beings must be free to seek the truth. However, human beings do not seek the truth as isolated individuals. The search for the truth is common to all, and so all share in the finding of truth and all share in the receiving of truth from others. Because the search for truth, the finding of truth,and the sharing of truth is a social exercise, human beings must not only be free to search for truth in the hope of finding it, they must also be free to communicate and discuss together the truth they believe they have found. It is through our free assent that we each personally lay hold of the truth. It is in accordance with their dignity as persons—that is, being endowed with reason and free will and therefore privileged to bear personal responsibility—that all men should be at once impelled by nature and also bound by a moral obligation to seek the truth, especially religious truth. They are also bound to adhere to the truth, once it is known, and to order their whole lives in accord with the demands of truth. However, men cannot discharge these obligations in a manner in keeping with their own nature unless they enjoy immunity from external coercion as well as psychological freedom. Therefore, the right to religious freedom has its foundation, not in the subjective disposition of the person, but in his very nature. The human person has a right to religious freedom. This freedom means that all men are to be immune from coercion on the part of individuals or of social groups and of any human power, in such wise that in matters religious no one is to be forced to act in a manner contrary to his own beliefs. Source: All quotes are taken from the Fortnight for Freedom Reflections Copyright ©2012, United States Conference of Catholic Bishops, Washington,DC and the Declaration on Religious Liberty (Dignitatis Humanae), no. 15 December 7, 1965. All rights reserved.